When I talk to people about kitesurfing, I very often hear the same false beliefs that non-kitesurfers have about the sport. So, once and for all, I’ll prove them wrong. And, to be honest, I recognize myself in some of them – I had the same beliefs before I started kitesurfing. Luckily I had my brother who gave me the last bit of confidence to just go for it. So now, I’m passing that on to you as you might just need it, right? This is what I most often hear. What most people don’t know is that the force, with which the kite is pulling you, is carried by your harness – which means it doesn’t require any strength at all. 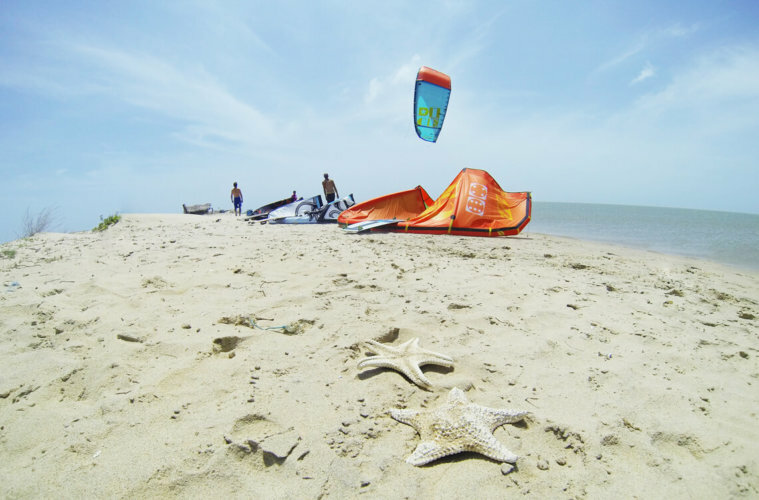 Plus, technique is playing a big part in kitesurfing, which you will learn step by step in your kitesurf lessons. If you compare it to windsurfing or surfing, kitesurfing is the easiest and fastest sport to learn and requires the least strength in comparison to the other ones. In the beginning kitesurfing is mainly about coordination, not your level of fitness. Which you will get as soon as you start learning it. I agree that it’s a full body workout and you will be exhausted after your first lessons. But your body quickly adapts to the new challenges and after a few session you will have all the muscles required for the task. That were exactly my thoughts when I saw kitesurfer for the first time. Compared to surfing, where you just have a board, it might seem quite complex at first. But it’s all a very logical process of learning it and after the course you’ll be able to easily control all those factors. Most kite lessons take a minimum of 3 days (if you have good wind and private lessons), which might seem quite long at first. Some people, me included, are irritated that they only have to practice kite control on the beach the first day without being able to get into the water. But learning to control the kite is the foundation for everything that will come after. 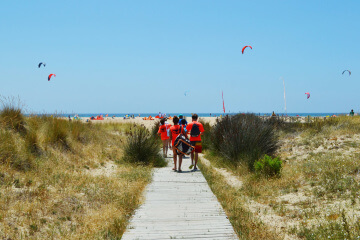 Kitesurf lessons are structured very clearly and every step is a bit challenging at first. That’s why you learn to put all the pieces together until you are doing the waterstart. Compared to windsurfing and surfing though – even if it doesn’t seem like it in the beginning – the learning curve is very steep. Becoming a decent kitesurfer is way easier and faster than becoming a decent surfer or windsurfer. That’s exactly what I love about kitesurfing, that you experience success so quickly. I have been teaching kitesurfing for a year and had amazing students of all ages. And anywhere I travel, I see kitesurfers from around 5 years to 80 years old. When I was living in Cabarete, Dominican Republic, there was a guy, who could barely walk on the beach as he had an artificial hip, but as soon as he was on the water, you couldn’t see any disadvantage and he was kiting like a youngster. You’re never too old. Kitesurfing is all about simple physics. If you’re very light you will just use a small kites. If you’re a bit heavier, you simply use a bigger kite and maybe, depending on your level and the spot conditions, bigger boards are required that give you more flotation. Need some more inspiration? Read this inspiring Interview with Maddie “Fuller figured female fights to fly“. 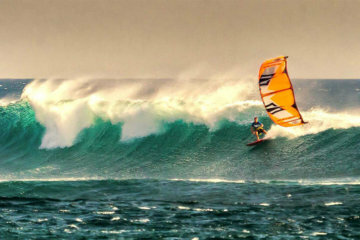 In the magazines and videos you will always see the pro kitesurfers who do those crazy tricks. But kitesurfing is so much more than just jumps – don’t get my wrong, I love jumping and trying new tricks, but that’s not the only thing that makes this sport so magical. I know a lot of people, myself included, who just love cruising across the water, feeling the wind on their face, smoothly gliding above the ocean and being one with nature. Also, if you don’t want to start jumping but are at a level where you’re safely riding upwind and want to try something new, you can still start doing different turns, go toeside etc. Those are all easy tricks that don’t imply as much crashing as learning new jumps. If you want to proceed further or try something completely different you could try going on a strapless surfboard, which gives you a completely different feeling of kiting. Safety systems have improved enormously in the last years. Yes, I agree, the first ones to try kiting in 2004 have been totally crazy! The first systems were very dangerous. But nowadays the kite equipment has a very high safety standard. If you learn kitesurfing properly you will know all the safety systems of your kite and you will know how to behave in risky situations. Click here to get more tips on safety in kitesurfing. I agree, it’s a bit more expensive than for example learning how to surf. 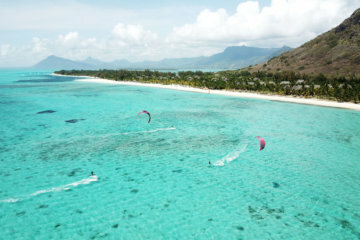 However, you can always find good deals on kitesurf packages. Just make sure the spot you are going to has a good wind probability for the time you are going there. Once you’re sure you want to continue kiting, I would recommend buying used gear at first that is still in a really good state and not older than 4 years. Also, take advantage of trying out different kites at kite-festivals, to get a feeling which kite suits you best. If you want to buy new gear, simply buy the last-year’s model which is usually a lot cheaper. The good thing about kiting is that you fall into the water. Yes, it’s uncomfortable and having water in your eyes, nose, ears, basically everywhere is not the most comfortable thing. But in general it doesn’t hurt as you are landing softly because the kite is still lifting you. That’s also the reason why I started jumping, although I was super afraid when trying jumping with snowboarding. The water is simply a good place to fall into – provided that you don’t jump super high. // So what are you waiting for? // Do you have any other concerns that stop you from trying kitesurfing in the first place? Or which other wrong beliefs do you hear from your friends, that don’t kitesurf? Let me know in the comments. 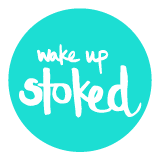 Previous ArticleBlog launch: Welcome, wind chasers and wave hunters! Your simply painting it to easy. I can´t agree with what i read here, maybe you should visit us in the Golf of Mexico when the north winds come in (october-april), and see what kitesurfing with 35-40 kntos is like, waves and everything. People will undertand how it is a dangerous sport, you do need to be fit, and how it´s just not for everyone. everyone that has ever started kiting has been there, seriously! Me included. 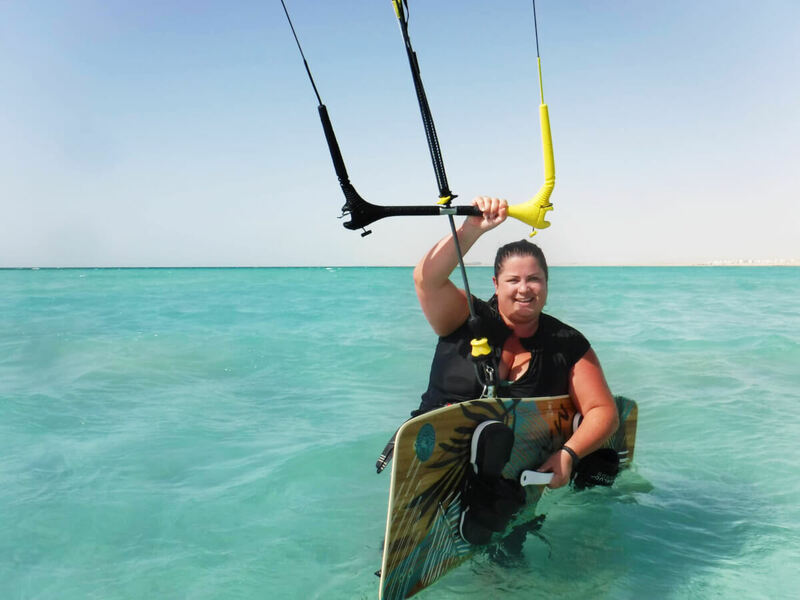 After I learnt kitesurfing in Dominican Republic and could ride safely upwind I went for a kitesurf holiday in Egypt a while after and convinced the school there to borrow me some equipment. On the first day I first couldn’t launch my kite and then had to be rescued two (!) times by the rescue boat because I wasn’t able to go back upwind (after first sending the boat away and telling him I could make it on my own, haha 😉 The owner of the kite school didn’t want to borrow me any more stuff but somehow I convinced him and the next day and suddently it worked. The best thing to do is just stay with it and some schools have supervision/a supervisor which you pay per hour, where someone is watching you and assisting you a bit. Or if you feel really uncertain then take one more lesson with your new equipment, just to get back into it. You can also check whether there’s a facebook group for the spot you go to (e.g. London Kitesurfers since I saw you’re from the UK) and ask beforehand in the group whether someone would mind just keeping an eye for you. Or just to get confidence with your equipment and skills again, go on a holiday for a week (since it’s always better to do it a few days in a row) or join a kite camp, which is actually really cool because you meet a lot of people who are also beginners or learning to kite. Every spot and every time we go onto the water it’s different, in the beginning it’s quite tough to figure it out, but you’ll definitely get there if you keep practicing. And after all kitesurfing is not entirely a solo sport, it’s normal to have to ask someone for help to launch and land your kite and to keep an eye onto each other. I hope you give it one more try at a spot with people you feel safe and happy with, I’m sure it’s worth it!